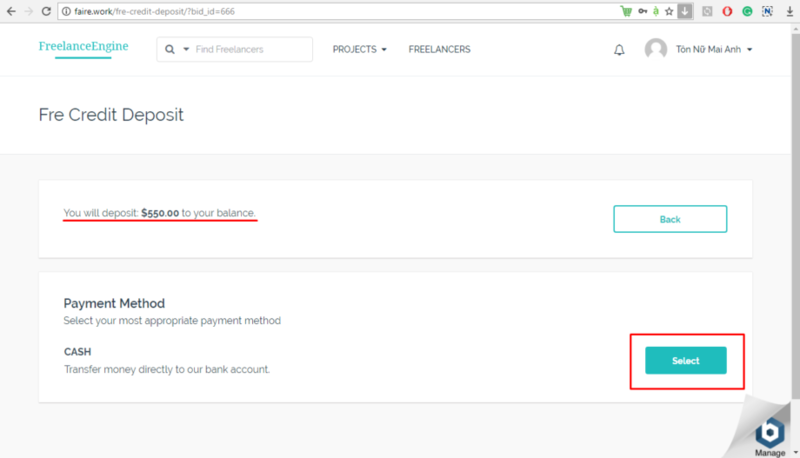 [FrE] How to use Credit to pay? 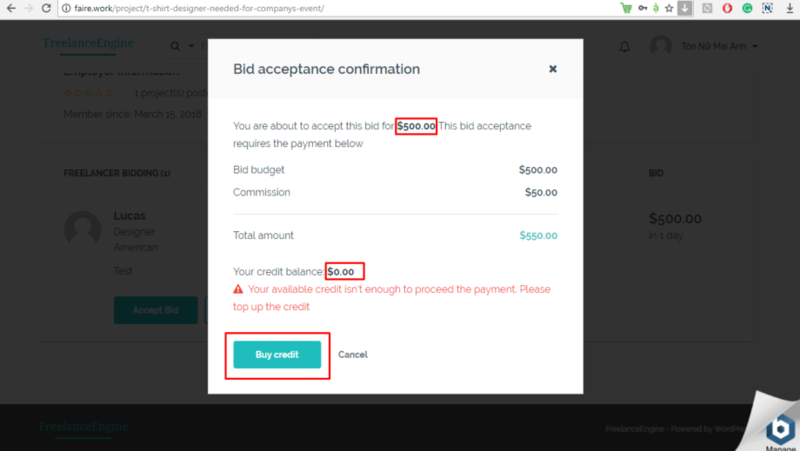 Now you can enjoy our latest feature: Your employer customer can use credit to buy the exact amount of money when he accepts bid. Avoiding redundancy because now they don’t have to prepay for available credit. When freelancers bid to his project but his balance doesn’t enough to accept the bid he can follow this instruction to solve it. Step 2: The employer will deposit exact the amount of money he need to bid this project ($550 for this case). He also can select the Payment Method. 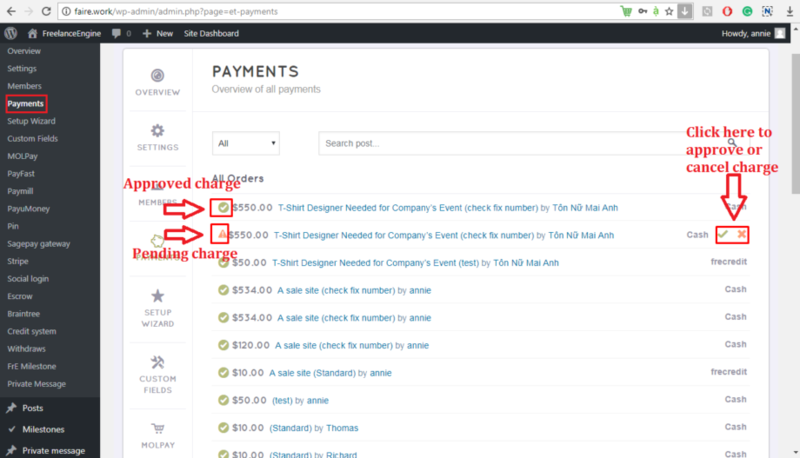 Step 3: Click to Make Payment and transfer the money as his deposit. 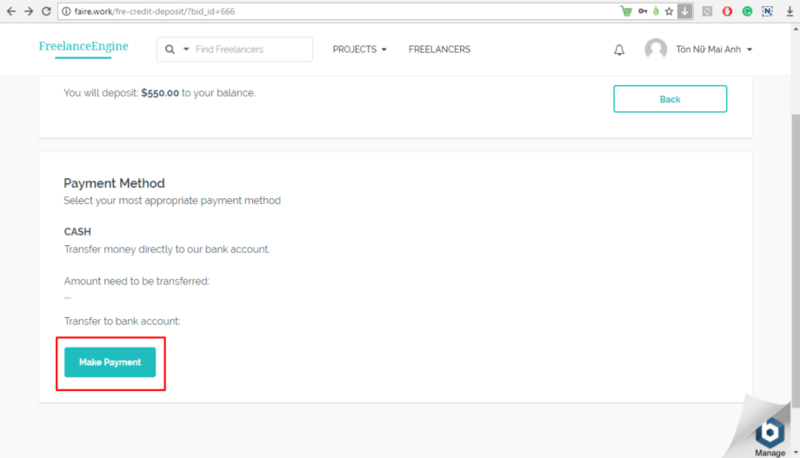 Step 4: Now, as admin, you can check if he has transferred the money and approve his payment in Engine settings > Payments. 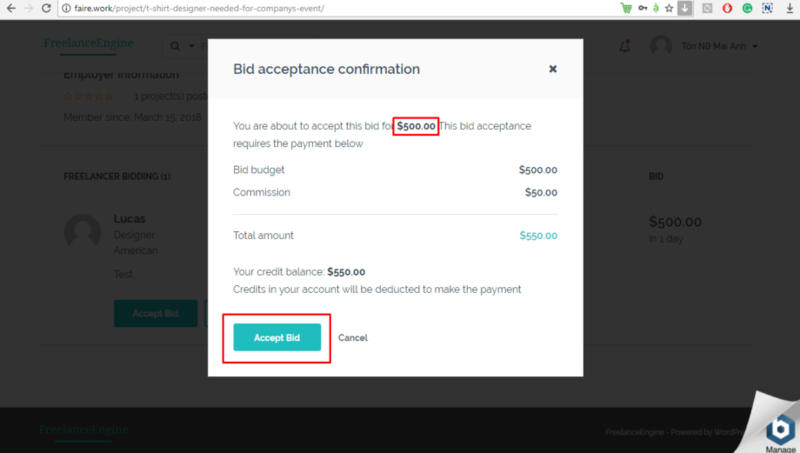 Step 5: After you approved the charge, your employer customer can Accept Bid as normal. 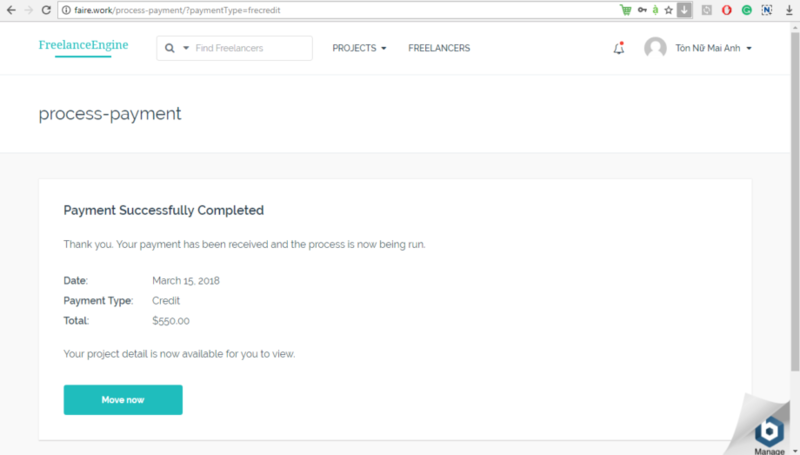 [FrE] Is there any facilities or features for upload/attach CV when a freelancer apply/bid on a job? [FrE] How can I get Real time chat? 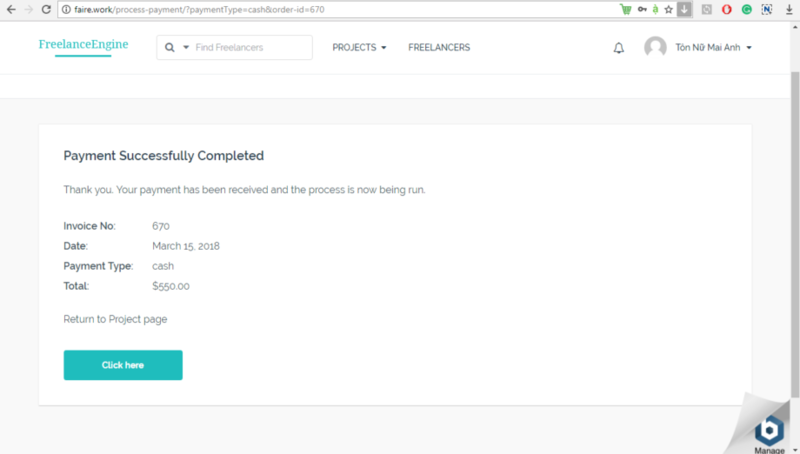 [FrE + MjE] Can I just sell my own services through this theme?